An embattled ancient King, about to lose his kingdom and life, sees that the people who claim to love him are quick to leave while the artist to whom he has been devoted willingly dies with him. 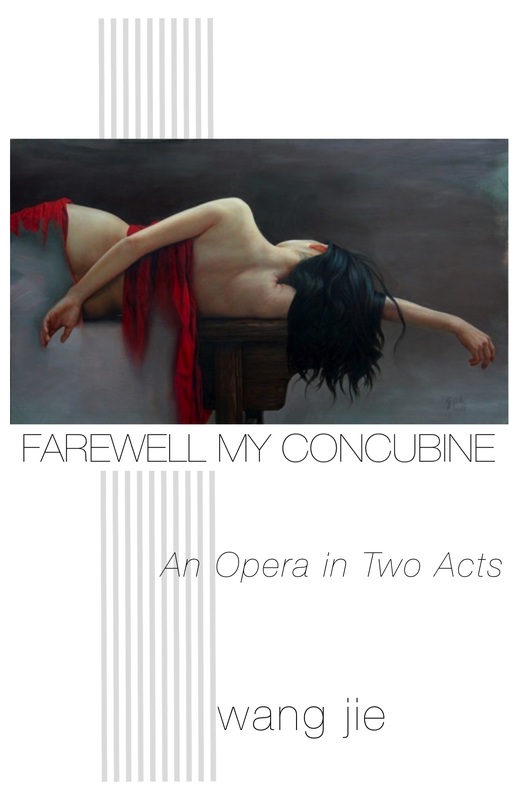 Wang Jie’s fourth opera examining the paradigmatic form of opera, FAREWELL MY CONCUBINE provides operatic rebirth to an ancient true story. The original story serves merely as inspiration. The narrative that underpins the opera, the music that paints each character, are the products of the composer’s musical ideas combined with her theatrical creativity and dramaturgical instinct. Through Wang Jie’s operatic lens, the legend undergoes a complete makeover, surrendering to the power of music to return to life. The story of FAREWELL, MY CONCUBINE has been told by writers, poets, journalists, historians, mothers, and filmmakers. For the first time in history, now, by a composer. In a small but peaceful land, live the King and his three women: the Queen, the very young consort who is his object of lust, and concubine Yu, his court singer. The Queen mothers his children. The young consort is his newest conquest. Concubine Yu, although childless, is the King’s favorite: she sings with a divine voice. Anything she sings turns into history. She sings songs that people want to sing. She sings his praises in public and in private, she sings of the King’s vulnerabilities and inspires him to respond in song. She is his true and only friend. Her musical power is so influential that the dominant neighbor Lord hears of Yu’s magical voice. When they visited the King, they ask that Yu be loaned to them to soothe their people’s uproar. Yu refuses to go to the dominant Lord. Her music is magically dedicated to the King alone and to the way he sees the world. She sings what she believes, thus the magical music. The dominant wants Yu to sing their way of the world, which Yu doesn’t believe in. She can sing for no other master. Infuriated by this rejection, the dominant Lord plans to destroy the King, to take his land, and most importantly, to take Yu into his possession. So that she can convince not only the King’s people but the dominant’s as well, to follow the new order. They want to get her to spread their influence the way she spreads the influence of the King. War breaks out on the border and the dominants advance to the core of the kingdom. Facing certain death, the Queen takes her children and flees. The young concubine sells herself to the enemy, forcing the King to kill her. The battle is lost, but faithful concubine Yu stays beside the King. As the dominant Lord’s army closes in, singing their national anthem. Yu and the King defiantly top this with a song of their own. Captured and dragged before the Lord of the dominant, Yu asks to be uncuffed and sings her farewell song for her King. On the last note of the song, she grabs the King’s sword and cuts her throat. The dominant Lord sees no use in the King and kills him.